Explore paths unknown with the Scout LARP Sword at your side. Be ready for anything with this foam blade in hand. With an innovative, latex free construction, this Stronghold sword is designed for safety in tough combat, and requires little to no upkeep. Its carefully crafted design draws its inspiration from Nordic swords of old. 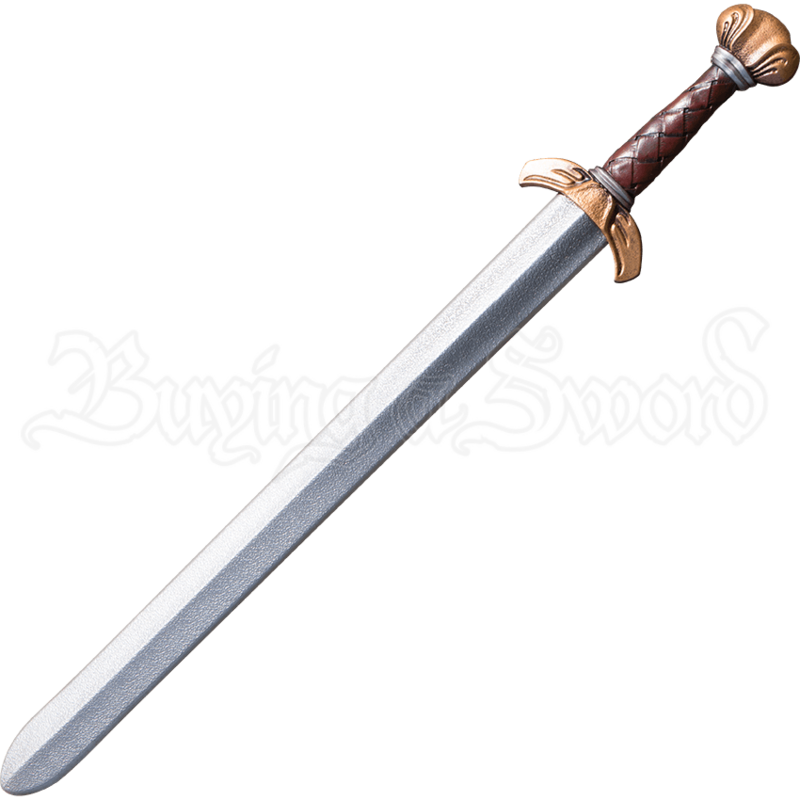 Hand painted for a realistic look, this LARP sword has a silver tone and a central ridge to its double-edged blade. The foam weapons hilt is cast in polyurethane for impressive detail, including a textured grip that resembles woven leather, a cocked-hat pommel, and an upwards curving crossguard, both hand painted in an antique bronze tone. For warriors of all sorts, this Norse LARP sword makes a fantastic companion.